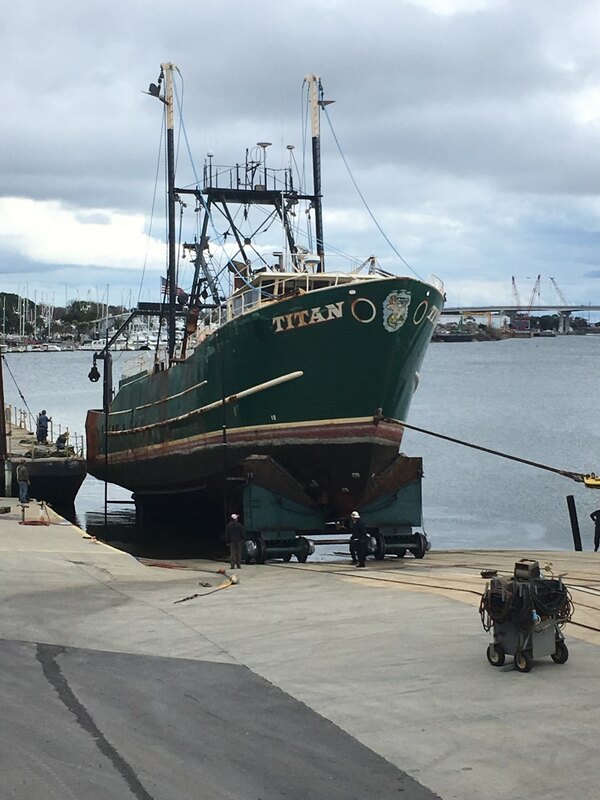 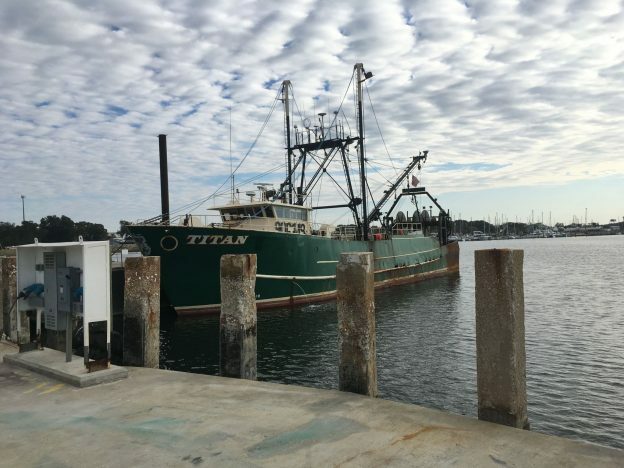 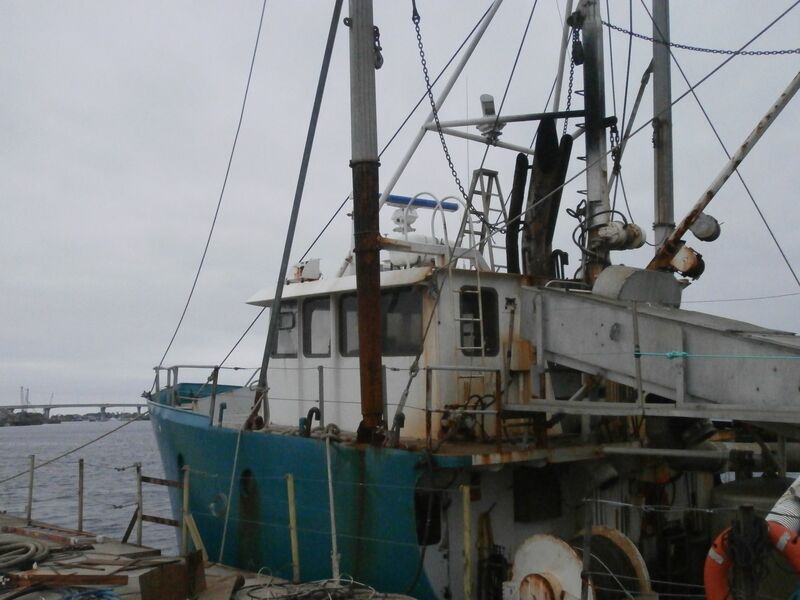 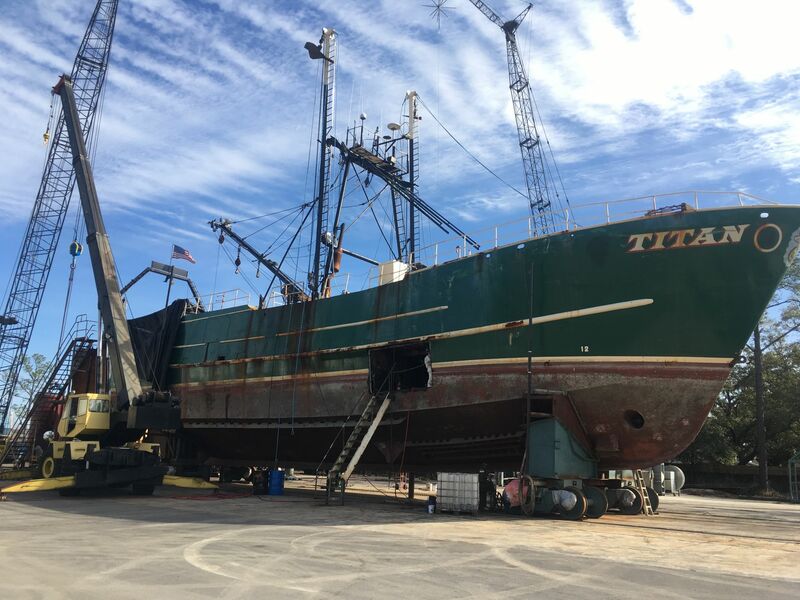 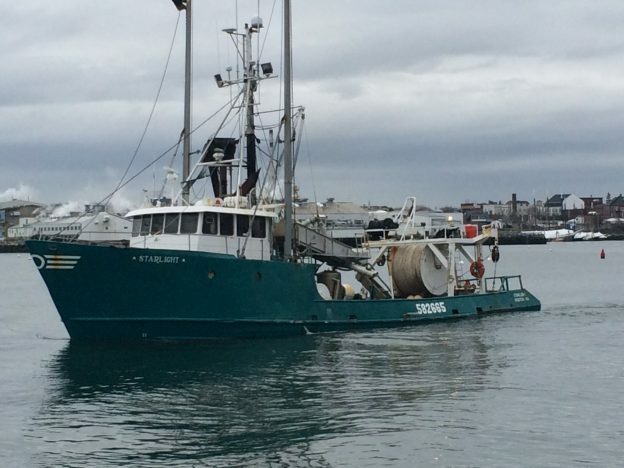 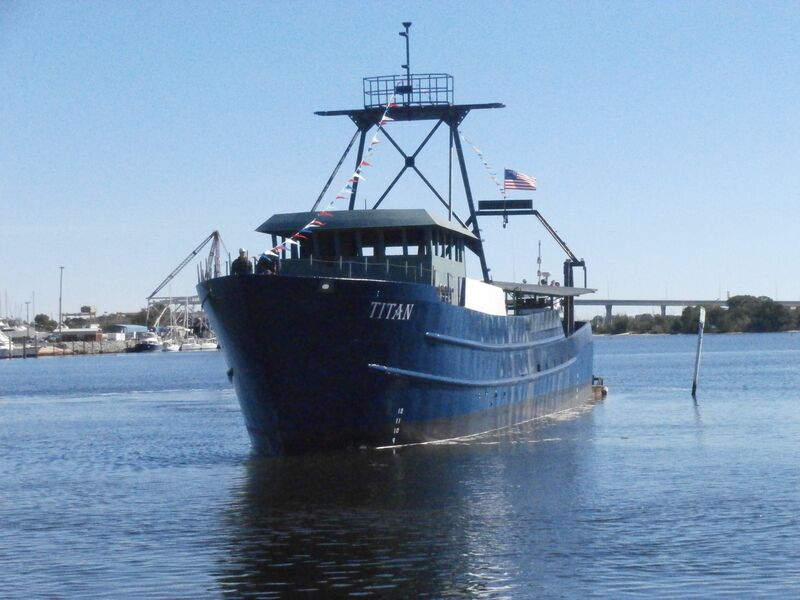 Description:The 121’ F/V TITAN Trawler Conversion will be equipped to fish with specific nets to selectively trawl for targeted species – primarily Atlantic Illex and Loligo Squid, along with Herring and Mackerel. 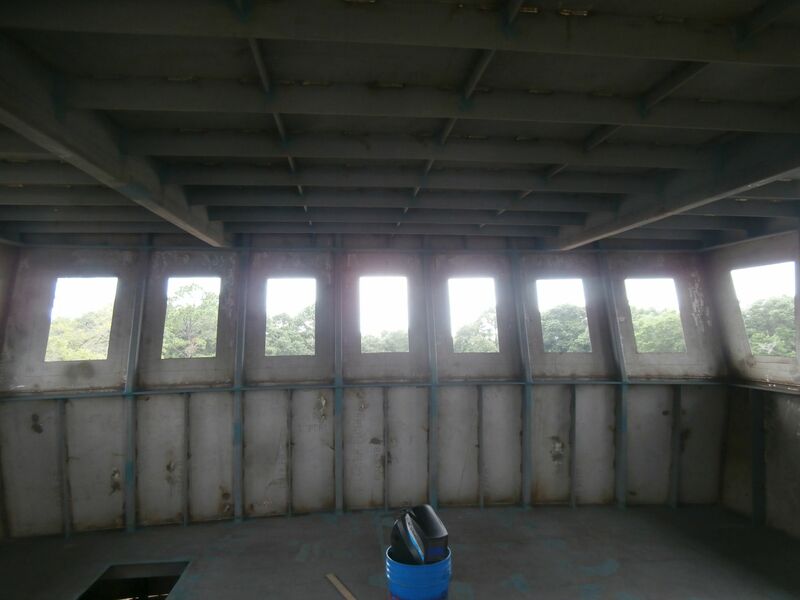 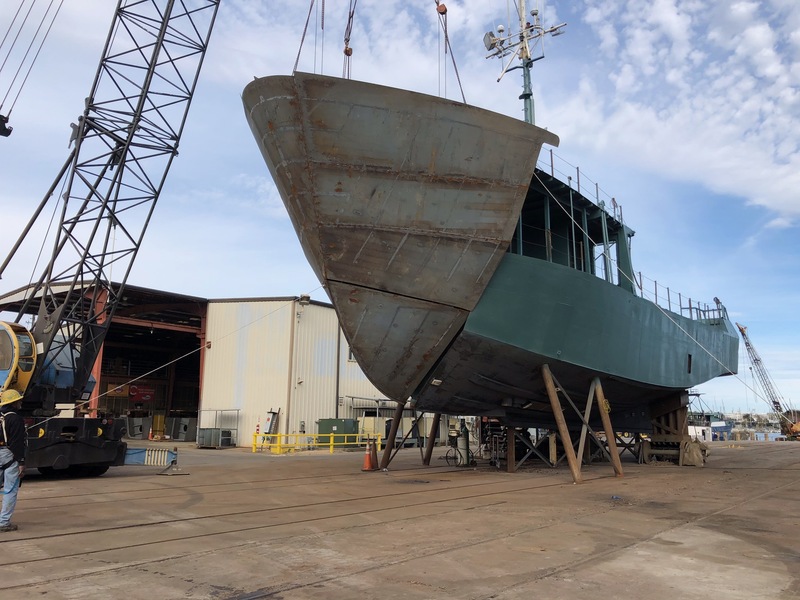 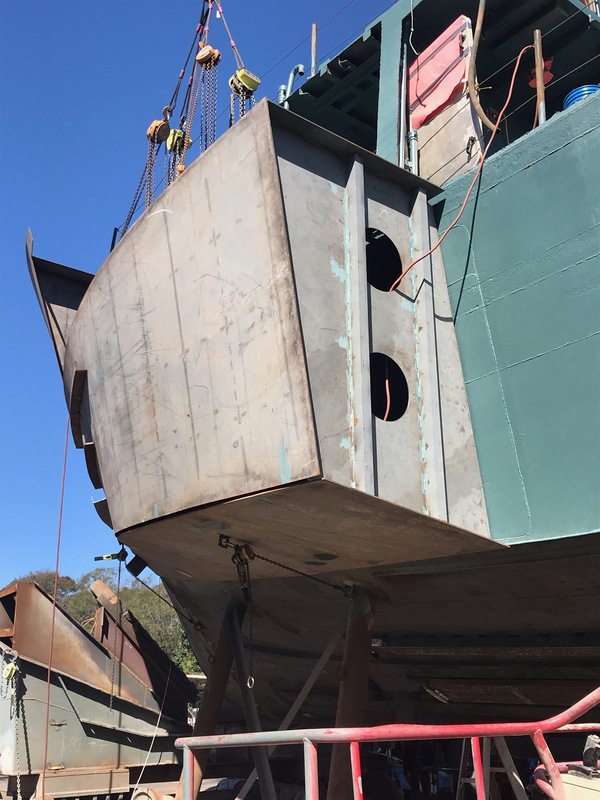 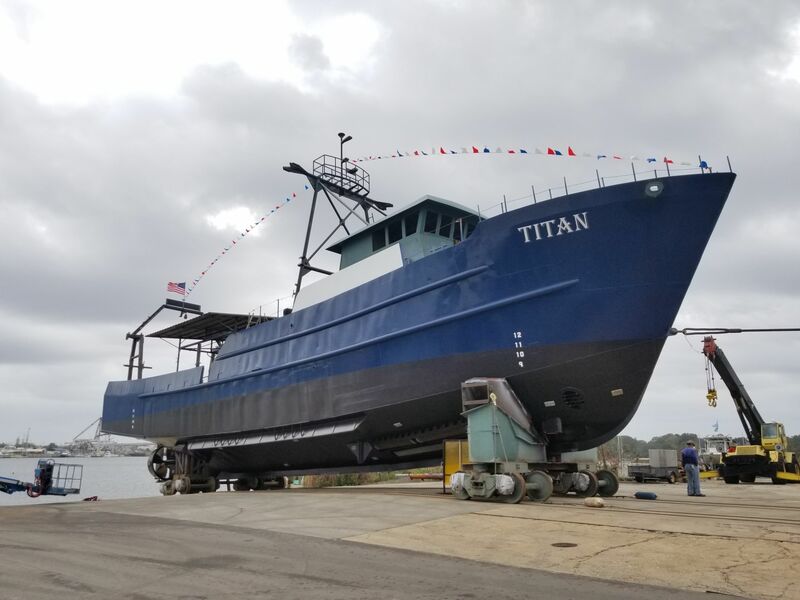 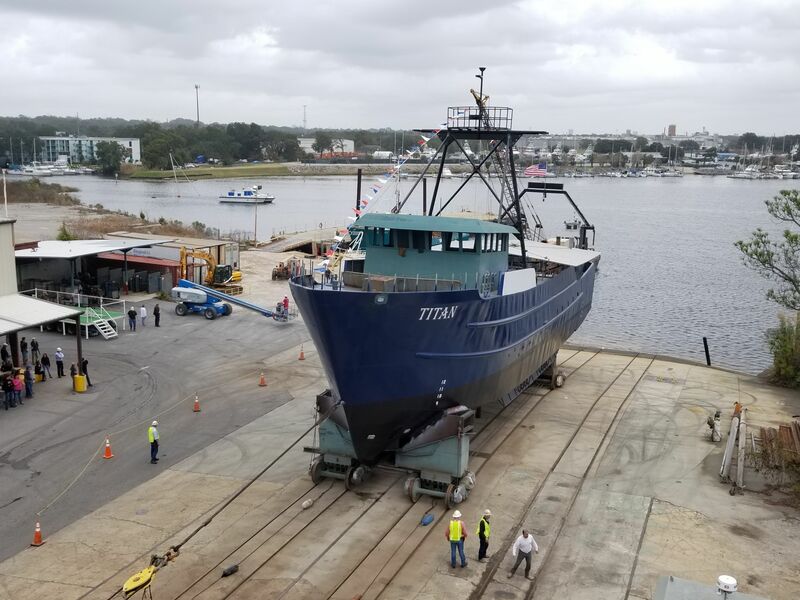 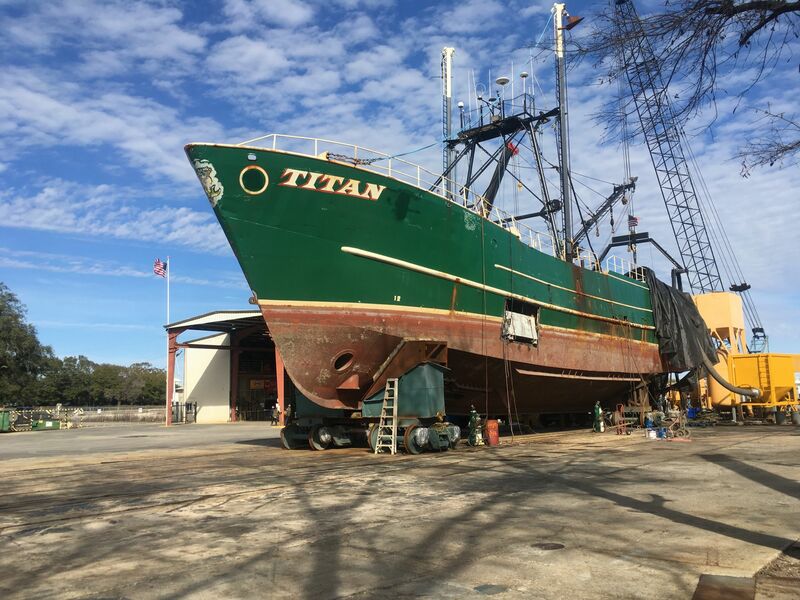 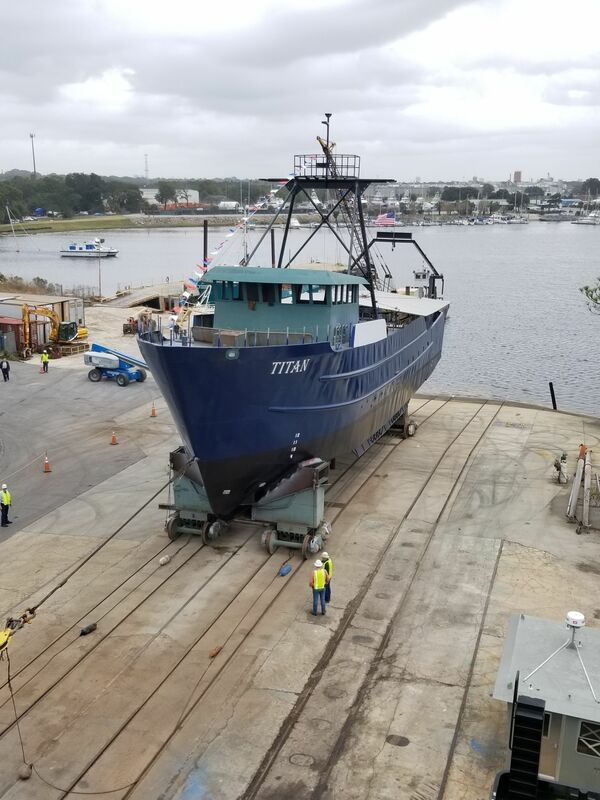 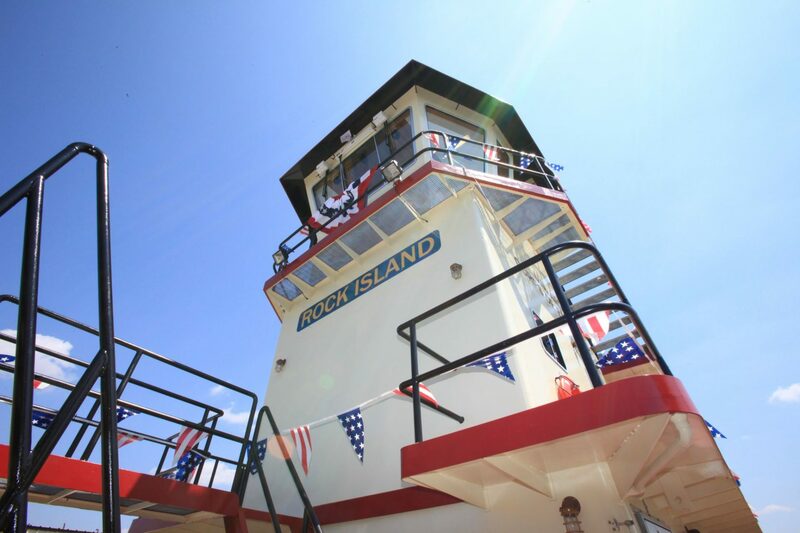 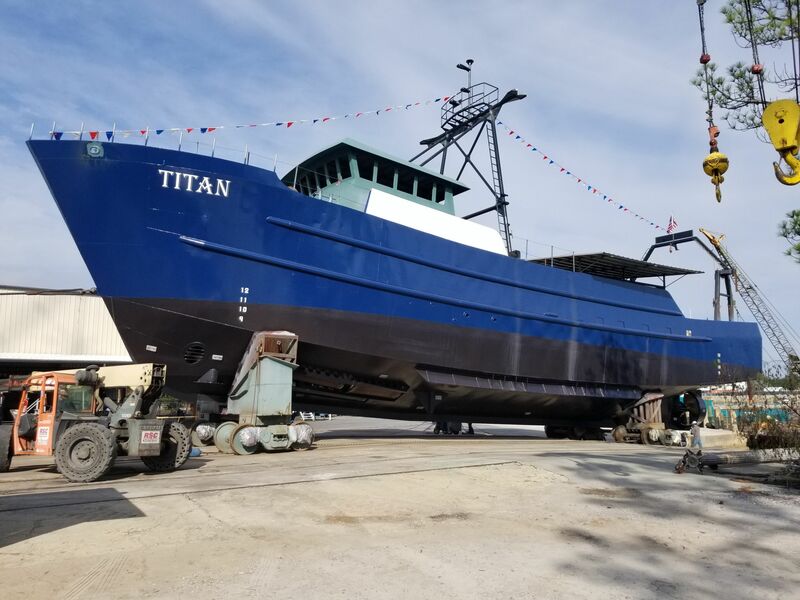 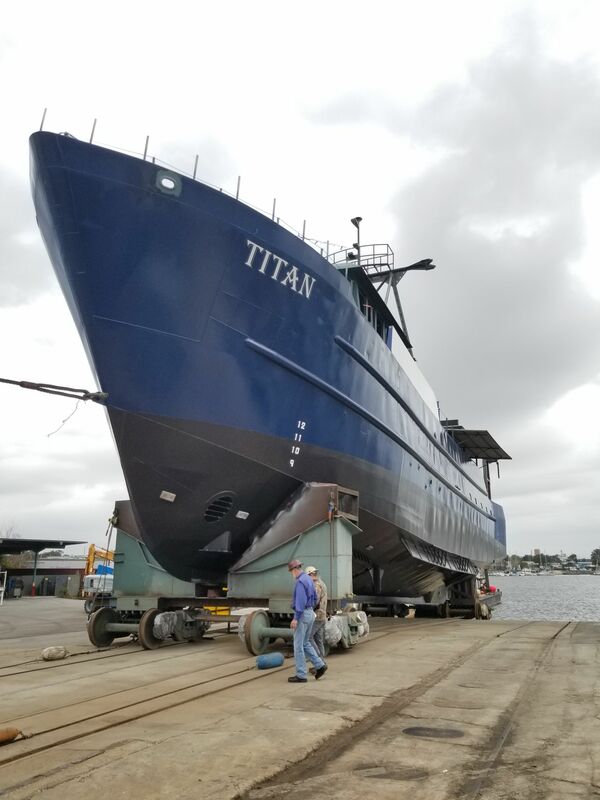 The TITAN will have all new equipment and systems including; piping, wiring, mechanical, electrical, hull insulation, and all accommodations (walls, flooring, galley etc. 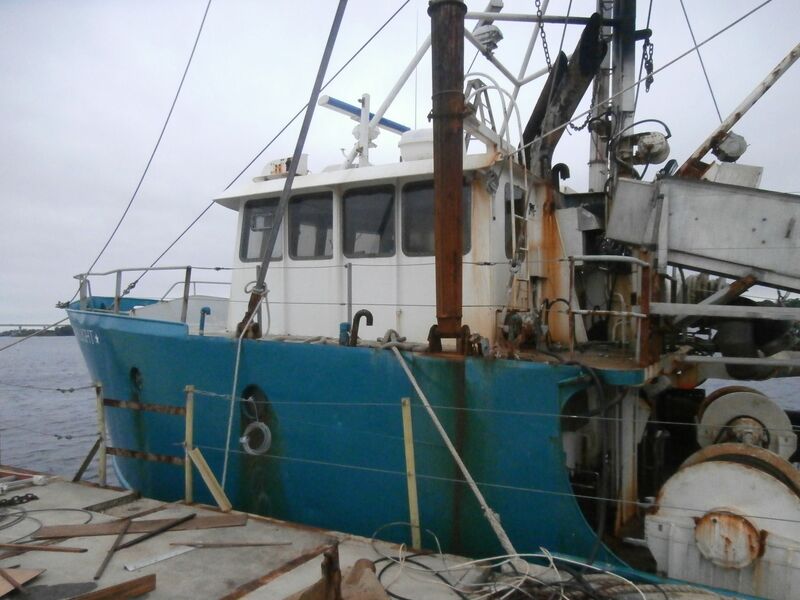 ), as well as the pilothouse and all rigging (mast, booms and outriggers). 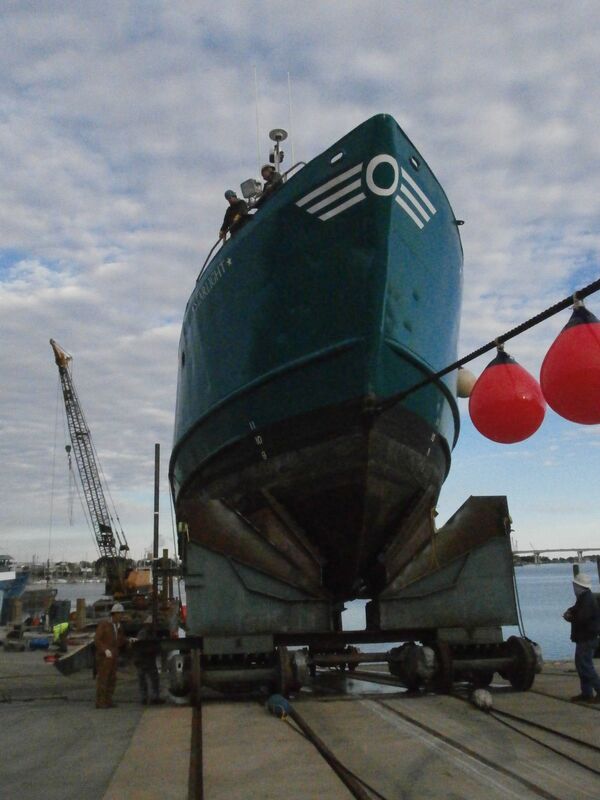 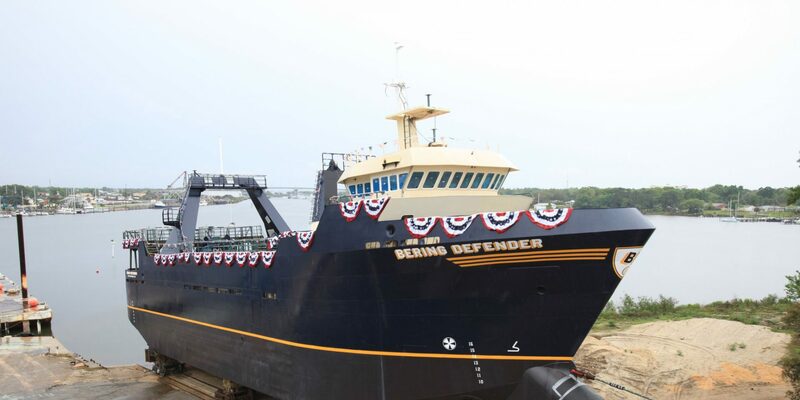 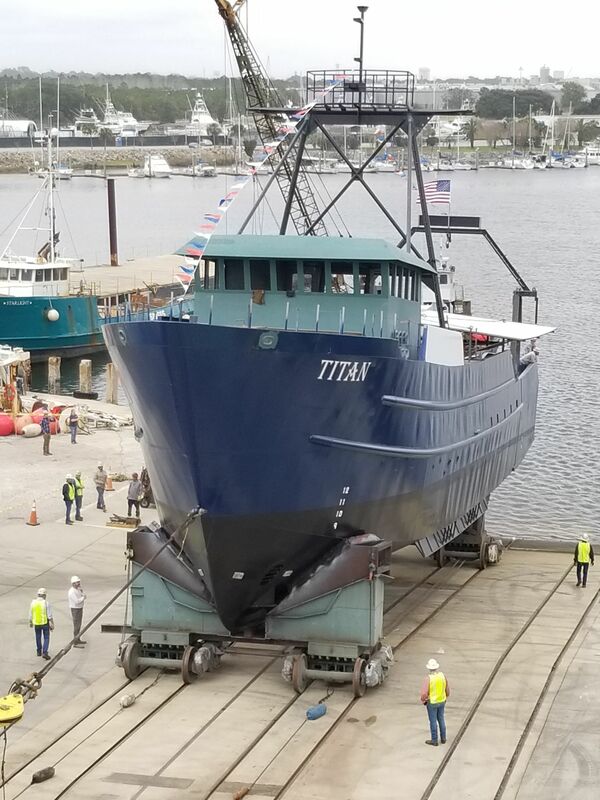 When completed, she will be homeported in North Kingstown, RI. 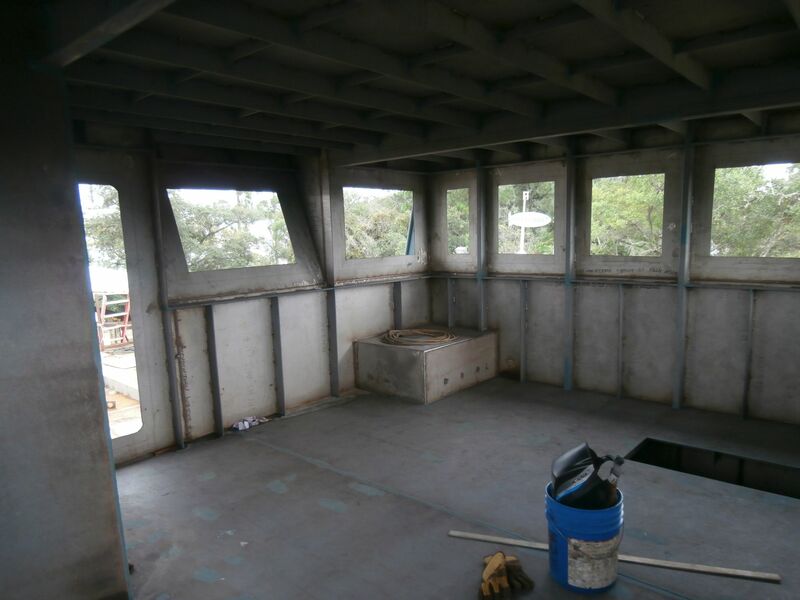 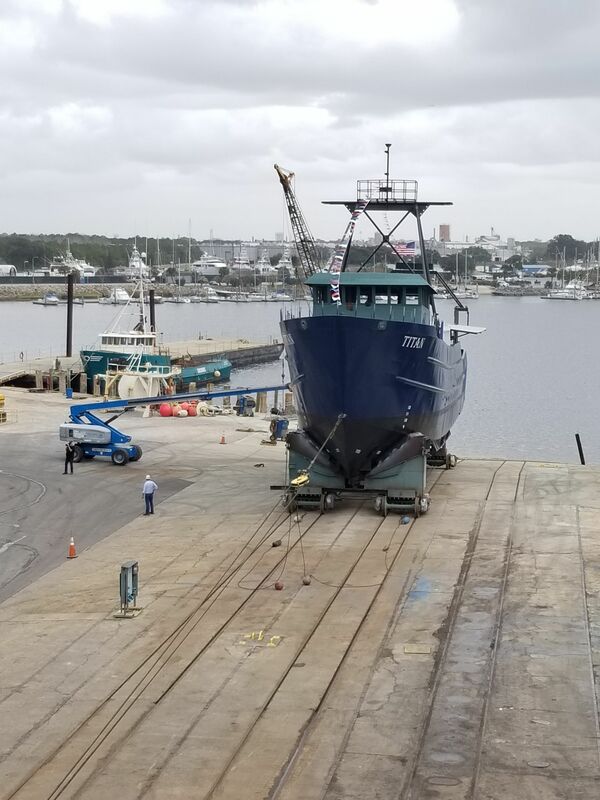 Description:The 97’ F/V STARLIGHT Conversion plans consists of; widen the vessel by adding 10’, install a new expanded bow, new stainless steel pilothouse, new accommodations (interior) and relocating deck equipment. 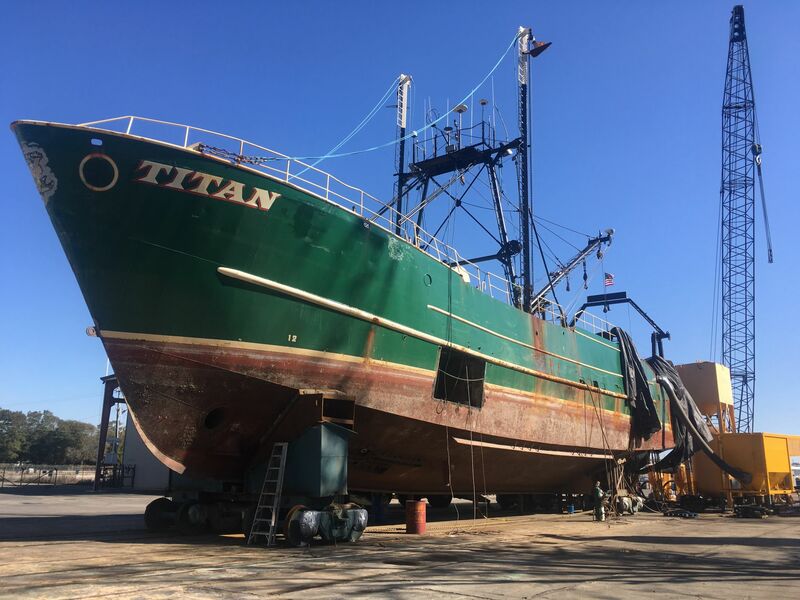 When completed, she will return to her home in Vinylhaven, ME. 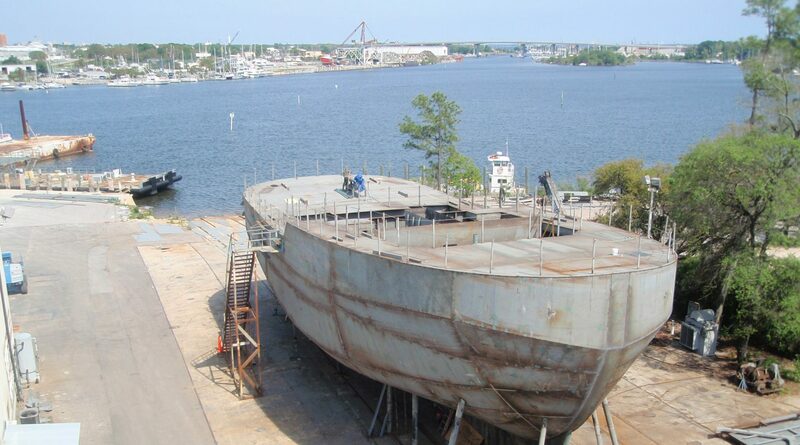 Description:THE “BARBRA ANN” is being built to operate in inaccessible waters. 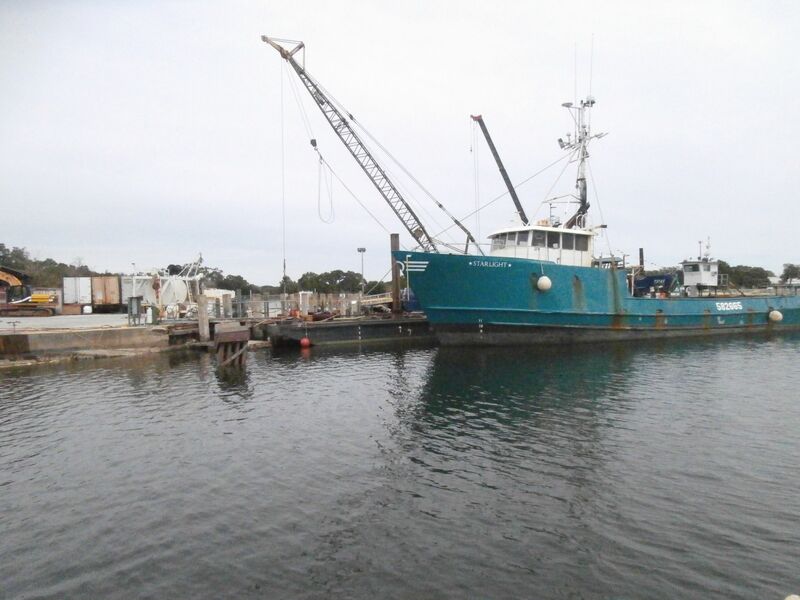 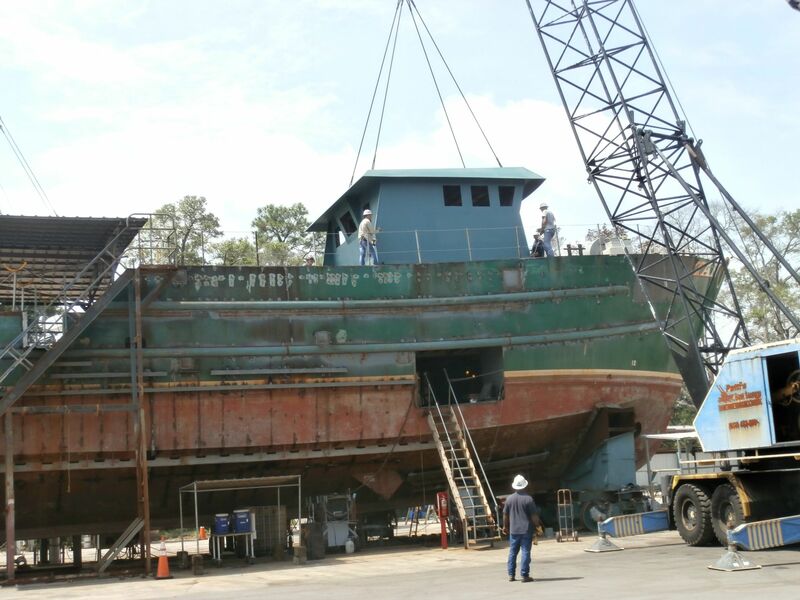 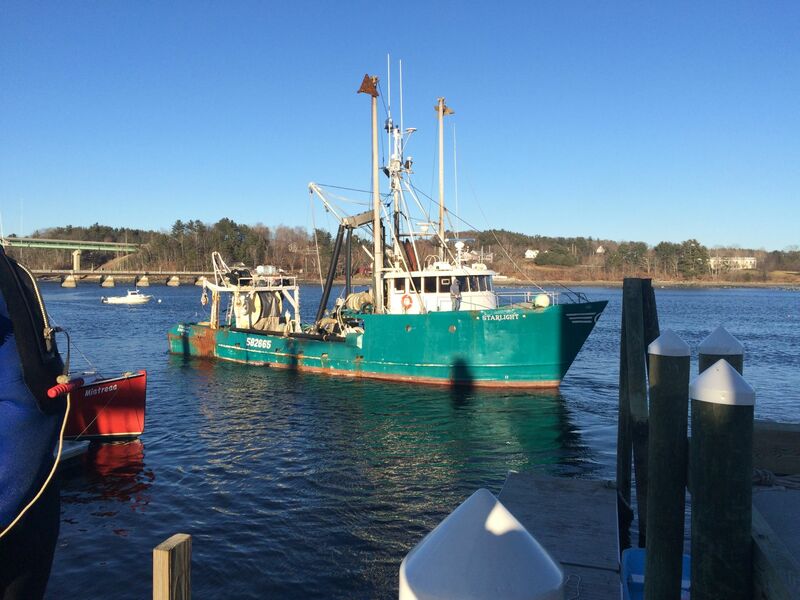 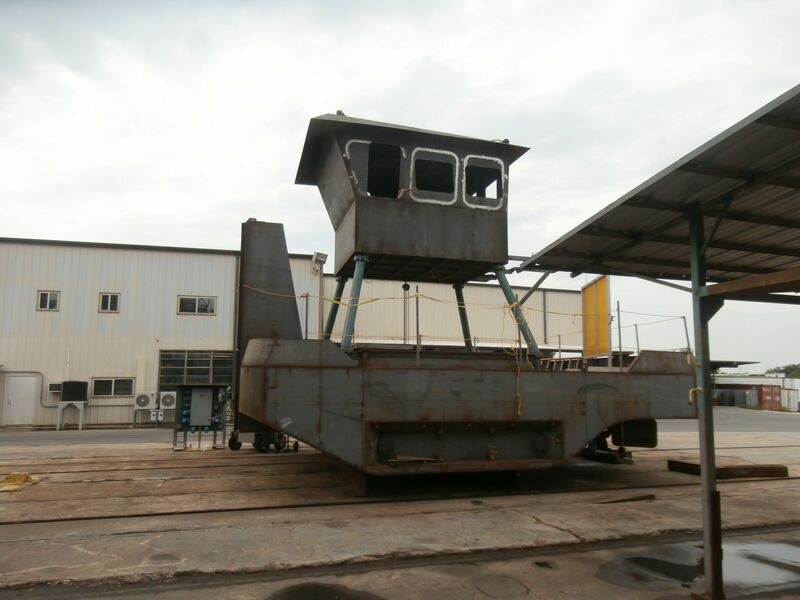 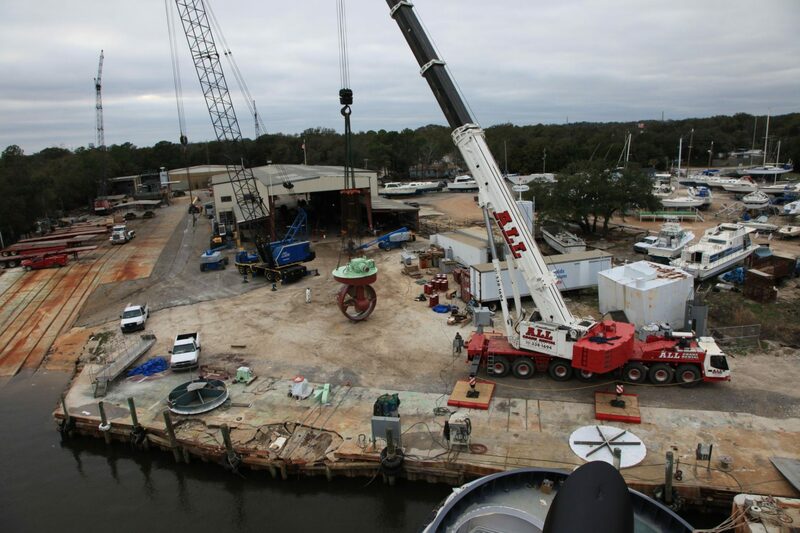 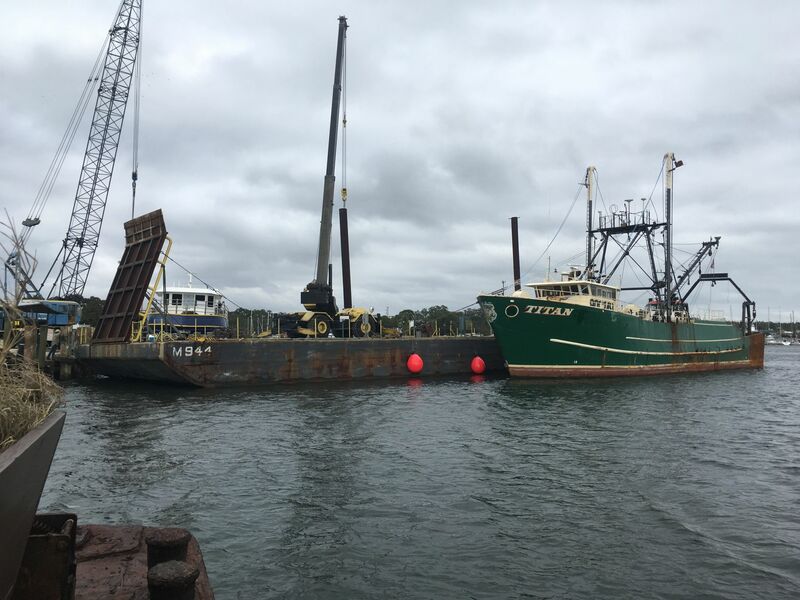 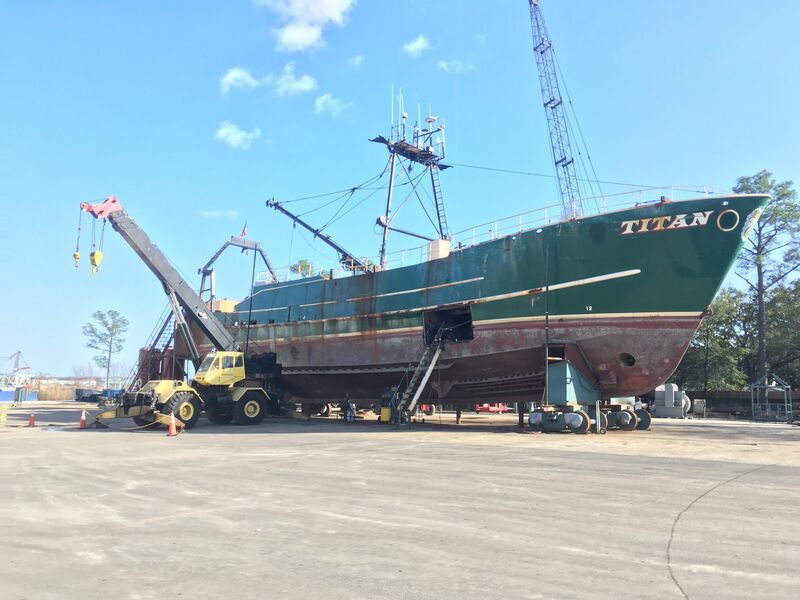 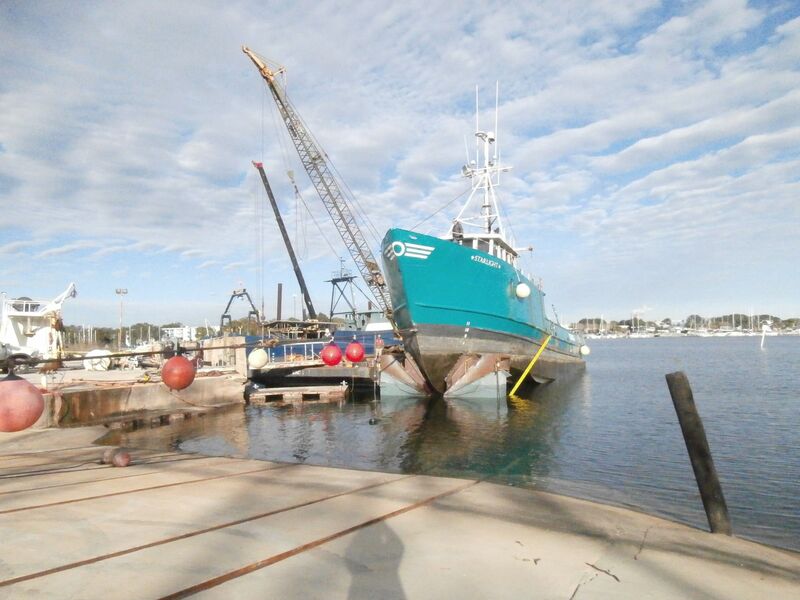 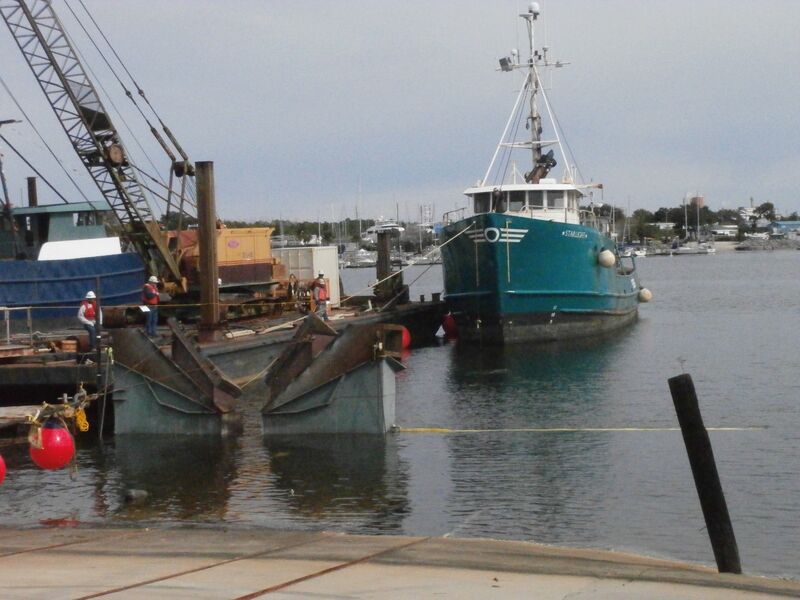 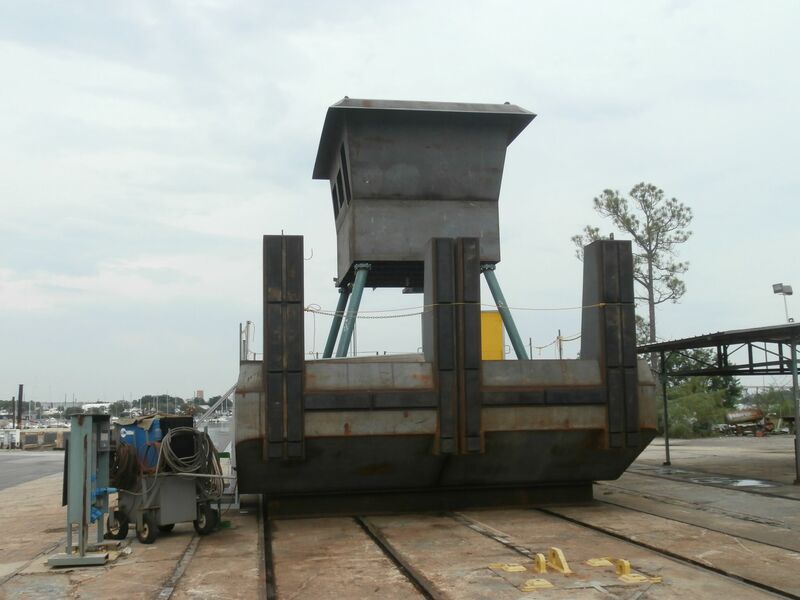 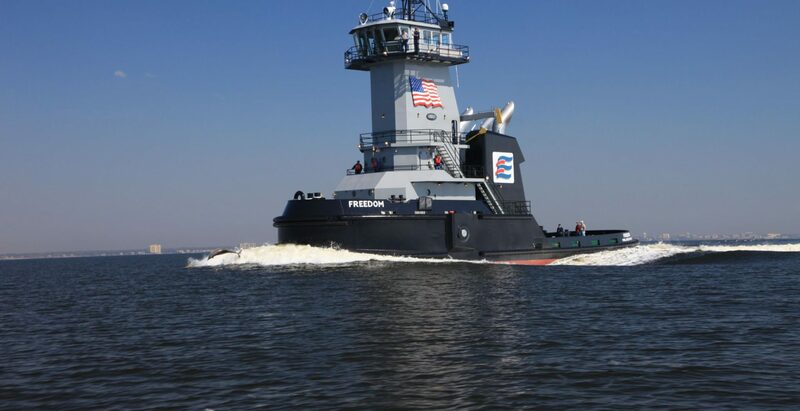 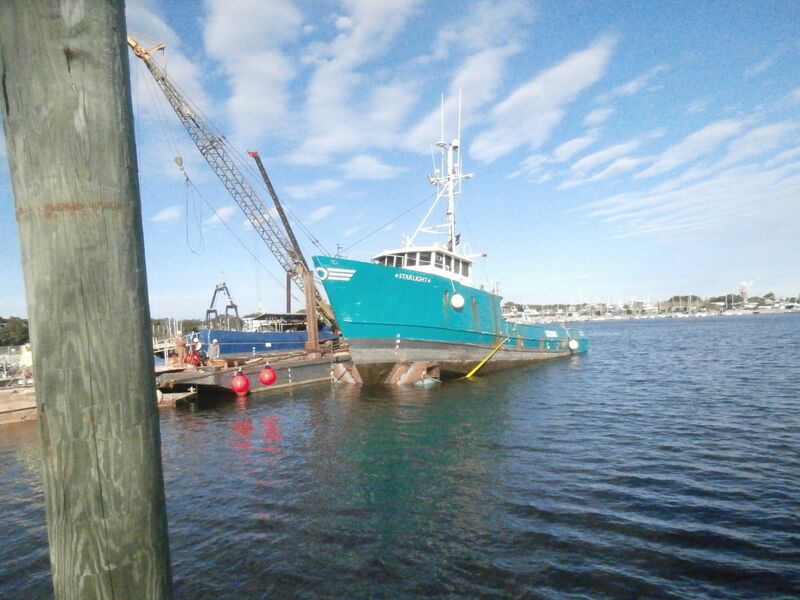 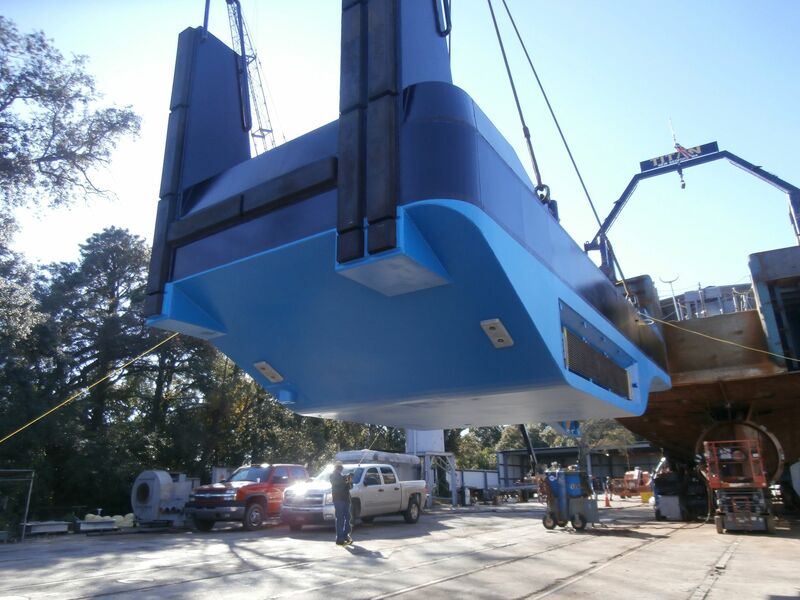 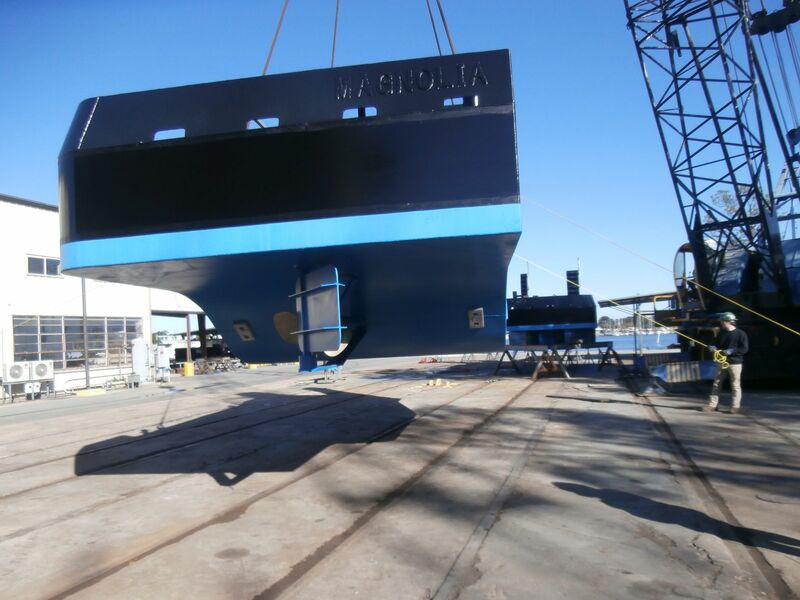 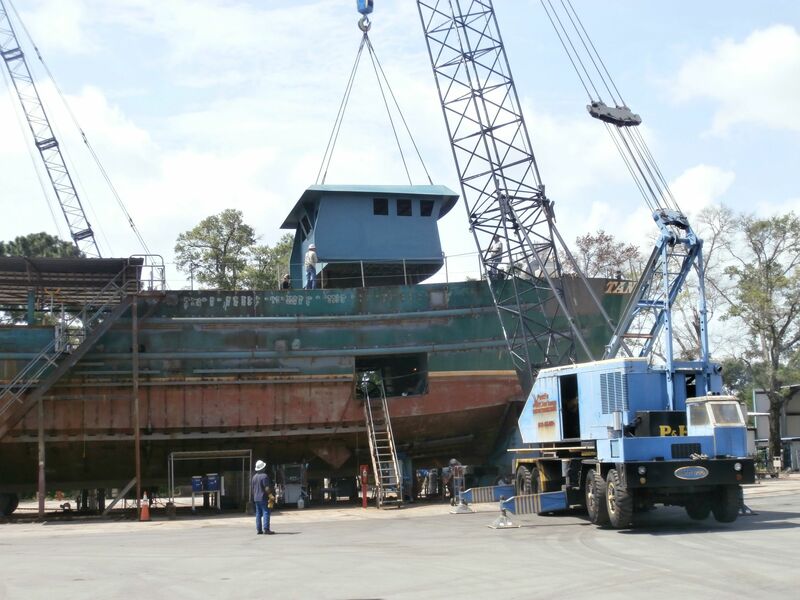 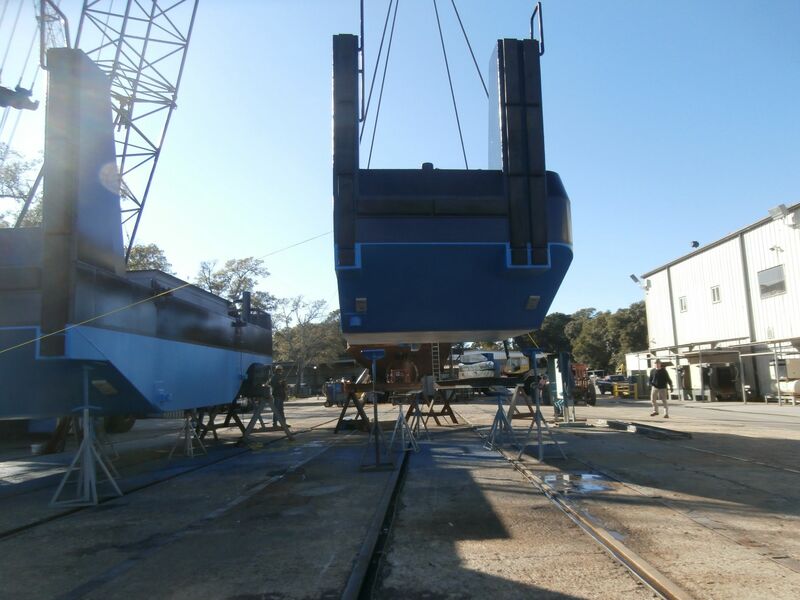 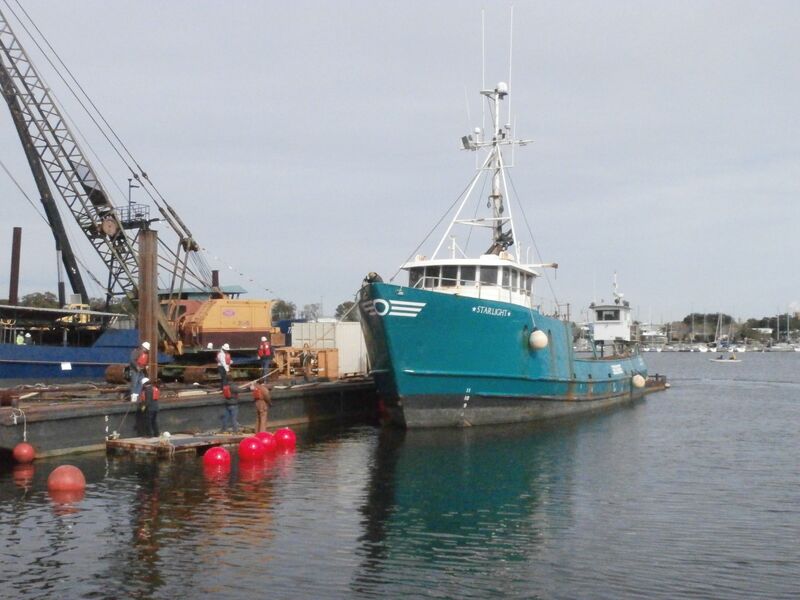 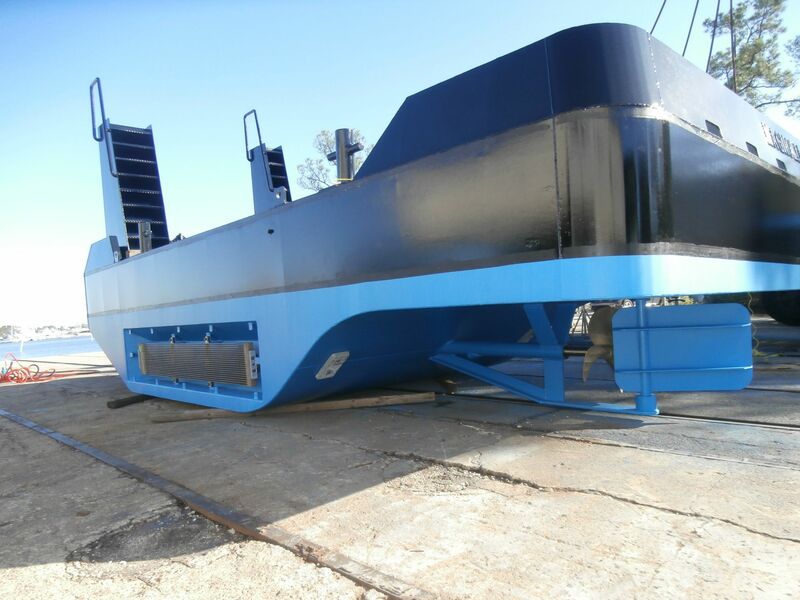 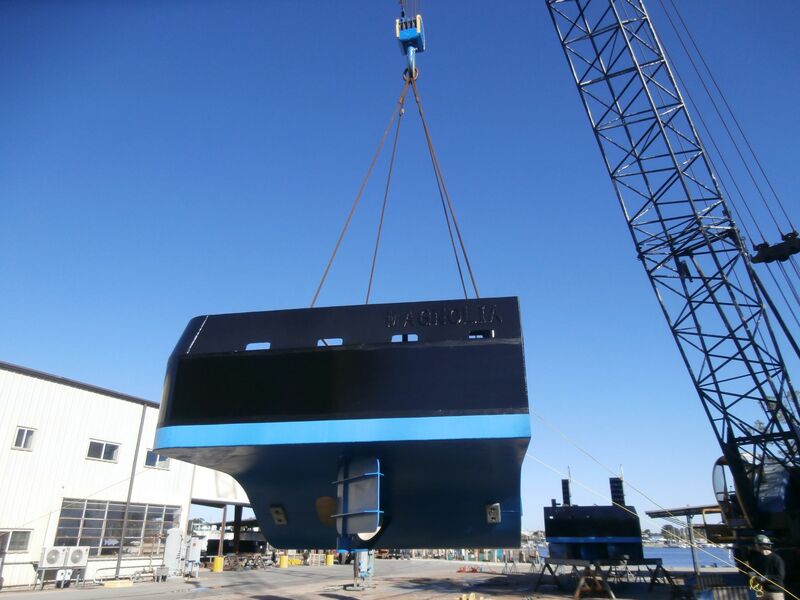 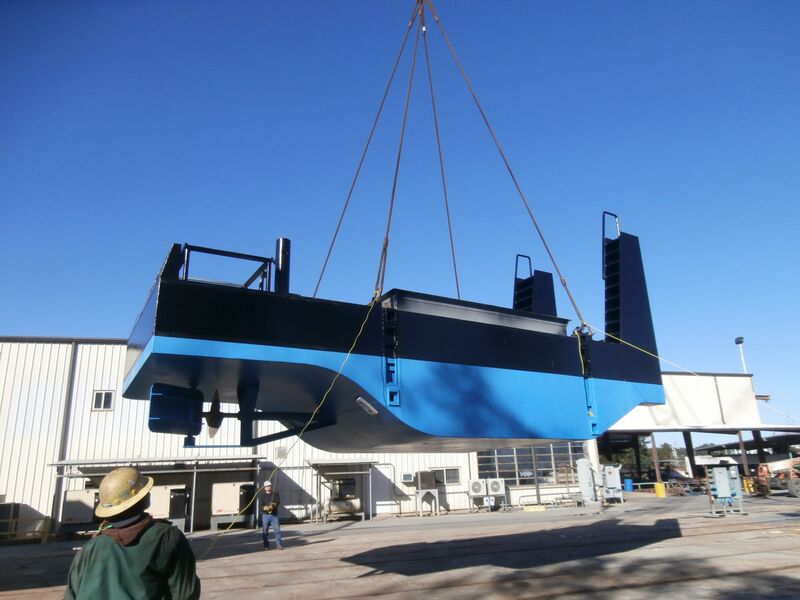 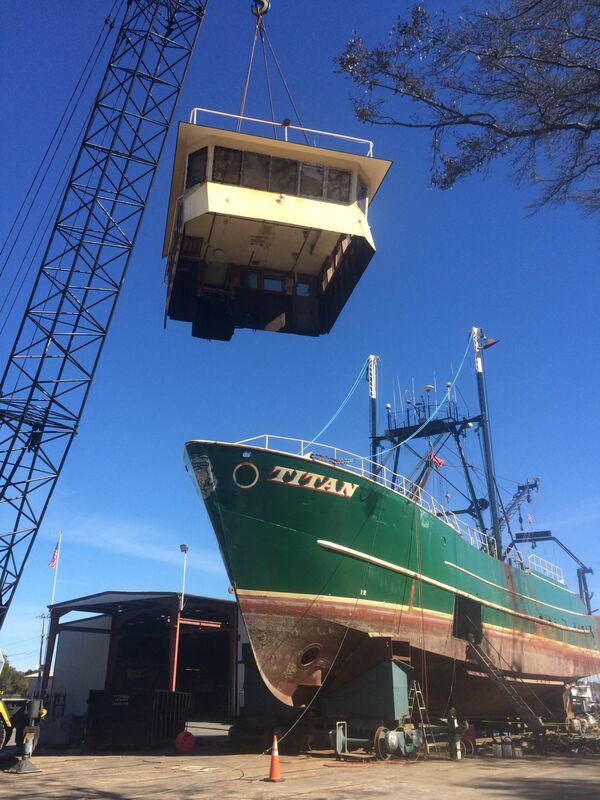 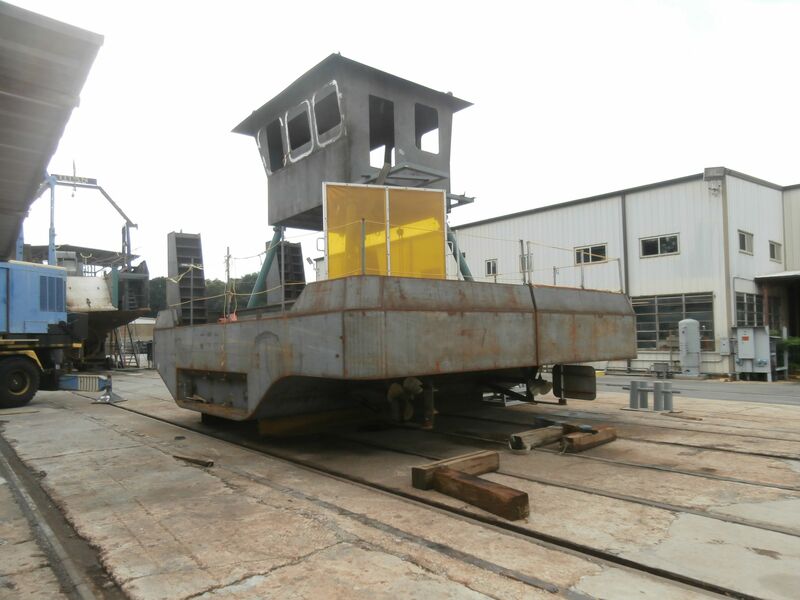 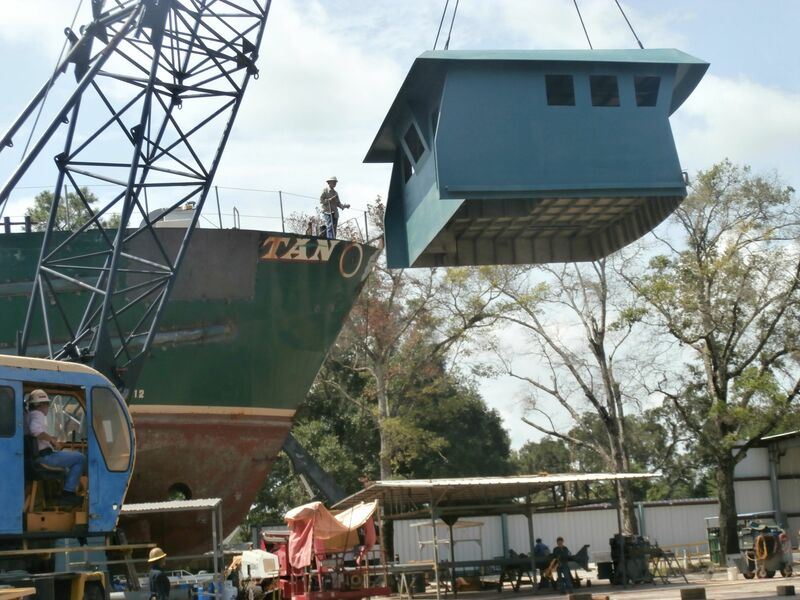 These twin tug hulls can be trucked to any location (pond or lake) and reassemble for work. 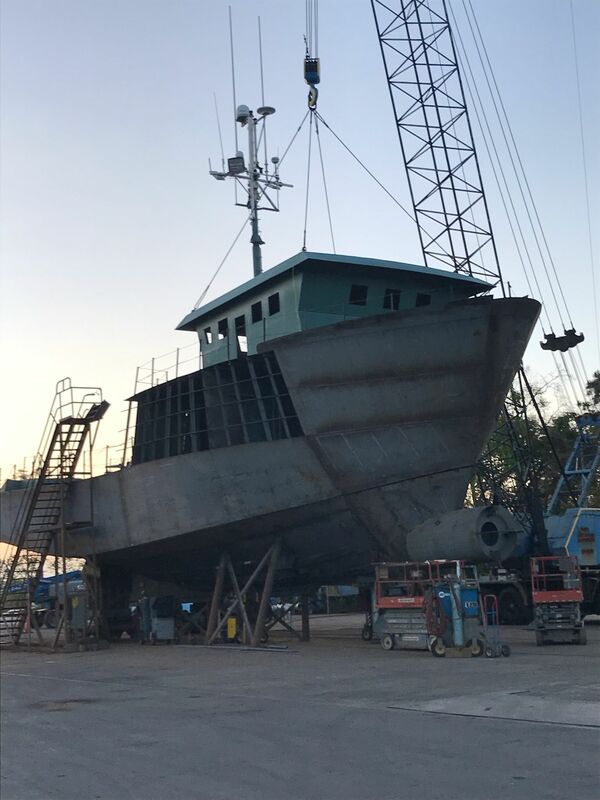 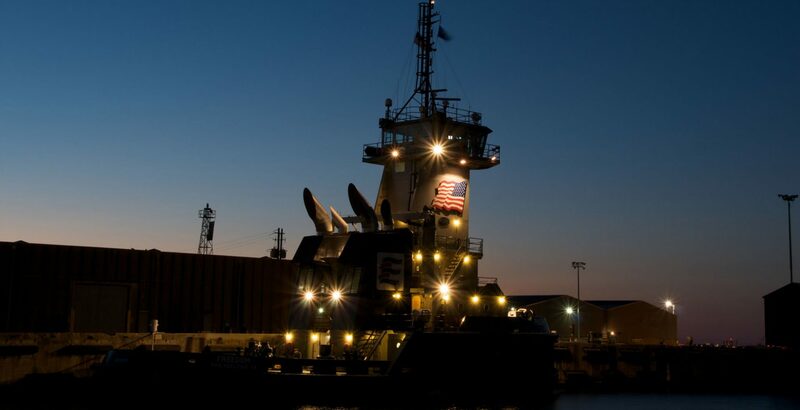 The two hulls are independent but pinned together to work as one with a bolt-on elevated pilot house for larger inaccessible projects.